Towers Unit 1211 is sold furnished and in ''as is'' condition. 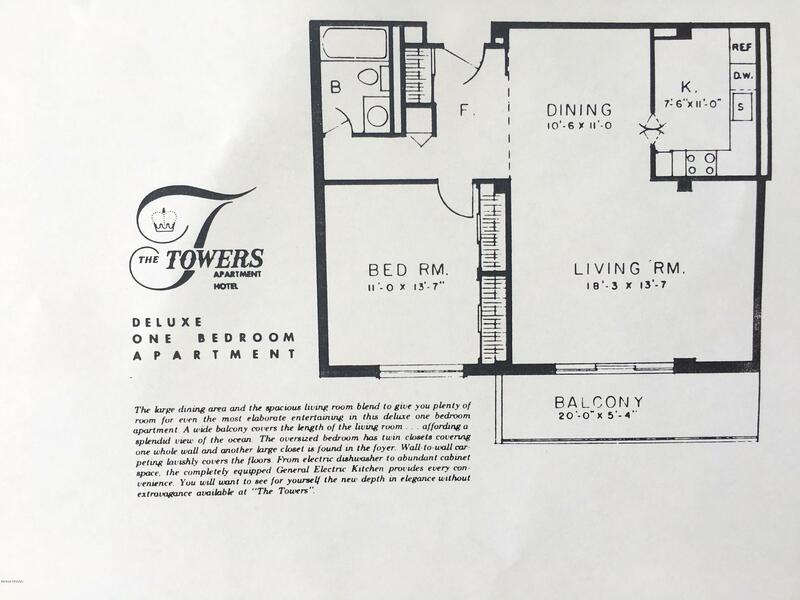 This one bedroom deluxe has a dining room, living room, kitchen, and bathroom. 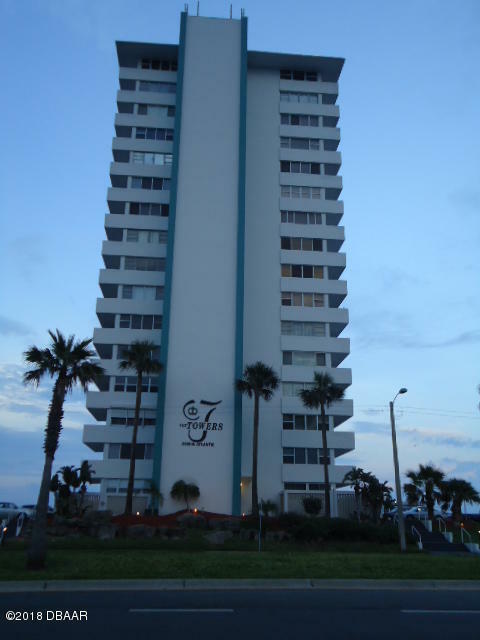 This beautiful unit has great views of the pool and Atlantic Ocean from the private 12th floor balcony. It has hurricane windows and sliding glass door. The building has a private entrance to the pool. The condo has a large swimming pool, sauna, exercise room, library, and clubhouse. Each floor has a washer and dryer. The monthly maintenance fee includes water, sewer, and basic cable TV. Belaire Plaza Shopping Center is within walking distance with Publix, Walgreens, Bealls, Bealls Outlet, Dollar Store, Ruby Tuesday, plus many other stores. There are many fine restaurants in the immediate vicinity. There is also a bus stop in front of building. Based on information from the DABMLS from 2018-08-25 17:35:14. DABMLS and their affiliates provide the MLS and all content therein "AS IS" and without any warranty, express or implied. Data maintained by the DABMLS may not reflect all real estate activity in the market.